Nawi claims there was Israeli involvement in Norris’s clemency letter becoming public. 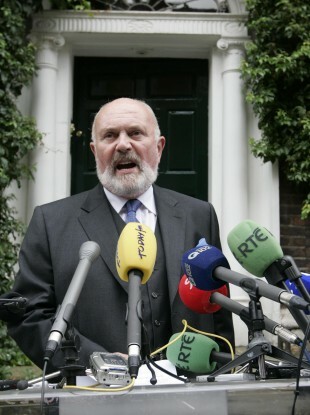 THE MAN AT the centre of the Senator David Norris clemency controversy has said that Norris “paid the highest price” for their relationship. Ezra Yizhak Nawi, Norris’s former partner, speaks to Patrick O’Connell in the print edition of the Irish Daily Star today and says he believes Senator Norris was the victim of a “dirty tricks campaign”. He also says there was Israeli involvement in the issue coming into the public domain. Speaking on RTE News at One this afternoon, Nawi said that “of course” Israel embassy in Ireland would deny any role in the publicising of the letter, but that the embassy was not necessarily involved. He said his crime was being “recycled” against “me and my friends and my struggle”. He said he didn’t want to involve Senator Norris but that he had spoken to him once about the situation. He said the clemency letter “doesn’t look well”. When asked if Senator Norris would make a good president, he said “I think it’s a loss, not only for David but Irish people”. Email “Ezra Nawi: Norris was victim of dirty tricks campaign”. Feedback on “Ezra Nawi: Norris was victim of dirty tricks campaign”.